At first, Rodef Shalom was not Rodef Shalom. It was 1847, and a dozen Jewish Pittsburghers established a burial society they called Bes Almon (Mourners’ House) and purchased land on Troy Hill, on the city’s North Side, for use as a cemetery. By 1848, the group had rented a room downtown, on Penn Avenue and Sixth Street, and formed a congregation called Shaare Shemayim (Gate of Heaven). Then came a split, with members striking out on their own to form congregation Beth Israel (House of Israel) in 1852. A year passed, and Shaare Shemayim and Beth Israel reunited under the Shaare Shemayim banner. Rodef Shalom arose around 1855, after a second split in the Shaare Shemayim congregation. But, again, reconciliation came and, in 1860, the two congregations merged under the name Rodef Shalom. The congregation’s charter, dated November 9, 1856, gives as its primary objectives “the furtherance of the cause of Religion” and “the establishment of a good school in which the young shall be instructed in the principles of the Hebrew Religion as well as general branches of knowledge.” By 1860 there were thirty-five member families, with fifty pupils enrolled in the school. The first Jewish confirmation in Pittsburgh was held in 1862 for six girls and one boy. In 1859, Rodef Shalom rented a hall on St. Clair Street in Allegheny City (now the North Side of the city of Pittsburgh). Needing more space and a place of its own, the congregation began construction of its own building in 1861. Designed by architect Charles Bartberger, the first temple was built on Hancock Street (now Eighth Street) in downtown Pittsburgh. The dedication ceremony, on March 20, 1862, featured Rev. William Armhold, Minister, addressing the congregation in German. Josiah Cohen, a teacher in the congregation’s day school, delivered a speech in English. Pittsburgh’s finest vocalist, Sigmund Apfelbaum performed. At first, Rodef Shalom was an Orthodox congregation. But in 1863, a transformation began when Rabbi Isaac M. Wise, a founder of Reform Judaism in America, came to Pittsburgh. His impact was quickly felt, as the congregation, shortly after his visit, voted to affiliate with Reform, adopting the Reform prayer book. The change didn’t suit all Rodef Shalom congregants, with some resigning to form the Tree of Life Synagogue (the Orthodox) in 1864. The transition to the English language took time. When Rev. Louis Naumburg became minister in 1865, he spoke in German. Rabbi Lippman Mayer, who succeeded him in 1870, spoke English but was more comfortable in German. Mayer was a strong proponent of Reform, and he encouraged the congregation to implement changes. The changes didn’t stop with language: by 1874, it was no longer mandatory for men to wear a hat or yarmulke and the congregation had joined the Union of American Hebrew Congregations. A raft of major changes came to Rodef Shalom in 1885 when, Rabbi Mayer and the congregation hosted a meeting of Reform rabbis. The resulting "Pittsburgh Platform'' signaled a paradigm shift, declaring that Judaism was a religion, not a nation, and that the Bible was an ethical guide, not the infallible word of God. It stated that American Jews do not have to keep kosher. This Pittsburgh Platform guided North American Reform Judaism until 1937. J. Leonard Levy, a dynamic leader with an internationalist outlook, became Rodef Shalom’s Rabbi in 1901. He had served congregations in Bristol, England; Sacramento, California; and Philadelphia. Rabbi Levy should be noted for his work to strengthen interfaith communication in Pittsburgh and beyond. During his Pittsburgh tenure, he started an international peace organization and co-edited the weekly Jewish Criterion, in addition to preaching at both Sabbath and Sunday services at Rodef Shalom. At Rabbi Levy’s invitation, President William Howard Taft visited Rodef Shalom on Saturday, May 29, 1909. This was the first time that a sitting United States president spoke from the bimah of a Jewish congregation during regular Sabbath services. During J. Leonard Levy’s rabbinate (1901-1917), Rodef Shalom’s congregation nearly tripled, growing from 132 member families in 1901 to 363 by 1908. Pittsburgh was changing. New immigration patterns brought more Jews to the city and new demographic patterns saw many of these new arrivals and longer-standing congregants moving from Allegheny City and the Hill District to emerging eastern neighborhoods like Oakland, Shadyside, and East Liberty. Nevertheless, more than half of Rodef Shalom’s members still lived near the Allegheny City Temple, so when a move was suggested due to crowded conditions, the congregation opted to expand where it stood. The original Temple building was torn down in 1900, replaced by a Charles Bickel-designed edifice. The new, larger structure was dedicated in Sept. 6 and 7, 1901. Shortly thereafter, an annex for religious school classes was appended. By 1904, however, the congregation had already outgrown the space. Congregational leaders came to see Oakland, Shadyside, and Squirrel Hill as the new cultural and residential centers of Pittsburgh. Rodef Shalom sold its new-but-outdated home to the Second Presbyterian Church, their downtown neighbor, for $150,000 and began its move toward the east, buying a lot near the corner of Morewood and Fifth avenues for $60,000. But who would turn that piece of land into a house of worship? A design competition was held and Henry Hornbostel—the architect Andrew Carnegie selected to create Carnegie Institute of Technology (now Carnegie-Mellon University)—emerged the winner. Hornbostel’s style merged the traditional with the modern. The double dome, 90 feet in diameter, was constructed without structural steel, instead using the Catalan vault, a Spanish vernacular style brought to the U.S. by Rafael Guastavino. For the exterior, Hornbostel chose local yellow brick, augmented with colored terra cotta flourishes. The design incorporated four representational stained glass windows by William Willet. These valued remnants of the 1901 Temple, along with a large stained glass skylight in the dome and a lunette over the Fifth Avenue entrance, were fitting additions to a building housing a Congregation that valued tradition yet embraced a modern approach to Judaism and life. The Congregation subsequently installed a 1907 Kimball organ, the largest of its kind still in use. The Temple sanctuary holds more than 900 people on the first floor and 300 in the gallery. The building was finished in time for High Holy Day services in 1907 at a cost of $250,000. Rabbi Samuel H. Goldenson came to Rodef Shalom in 1918, a year after Rabbi Levy’s untimely death. He instituted further reform, persuading members to give up their privately owned pews in favor of a more democratic system of unassigned seats, a decision that attracted many more members. After 16 years at Rodef Shalom, Rabbi Goldenson went to Congregation Emanu-El in New York. In 1934, Dr. Solomon B. Freehof became Rabbi of Rodef Shalom. In addition to regular preaching, Dr. Freehof wrote extensively on Jewish law and ritual and chaired the group that updated the Union Prayer Book. For more than 35 years, Dr. Freehof's weekly book review series attracted audiences of more than 1,500 Christians and Jews. He served as president of the Central Conference of American and the World Union for Progressive Judaism. His wife Lillian wrote many plays and novels and organized a Braille service group at Temple. The congregation’s growth continued throughout Rabbi Freehof’s tenure, reaching peak membership of approximately 2300 member families in the early 1960s. Under his watch, the Congregation added The Religious School—designed by Ingham & Boyd—Levy Hall auditorium, and the Cohen Chapel, which was completed in 1938. A large social hall, named in honor of Dr. Freehof, was built in 1956, and an addition to the back of the building—funds for the project were donated by Allen H. and Selma W. Berkman—provided an entrance from the parking lot. 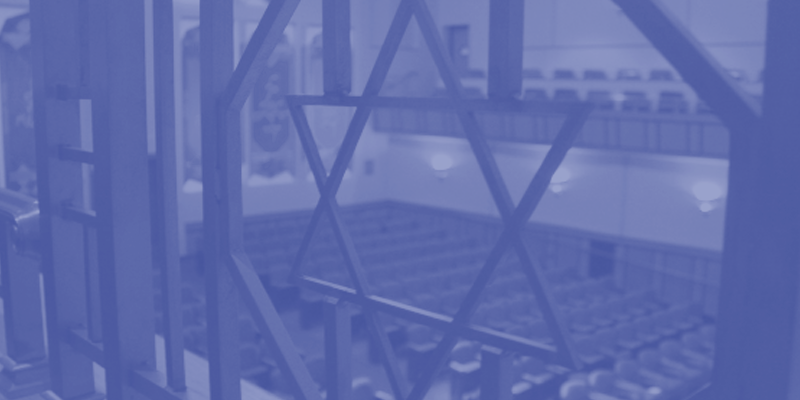 With more congregants than the Temple could serve, Rodef Shalom encouraged the creation of new Reform congregations, helping shepherd Temple Sinai in Squirrel Hill, Temple Emanuel in the South Hills, and Temple David in Monroeville into existence. Dr. Walter Jacob, who had been hired in 1955 as Rabbi Freehof’s assistant, became Rabbi of the Congregation in 1966 upon Dr. Freehof’s retirement. He founded the Freehof Institute of Progressive Halakhah and served as president of the Central Conference of American Rabbis. He and his wife Irene established the Biblical Botanical Garden at Rodef Shalom in 1986. Now Rabbi Emeritus of Rodef Shalom, Dr. Jacob remains active in Pittsburgh and abroad. He was instrumental in the creation of Abraham Geiger College, the first rabbinic training college in Germany since the Holocaust. Dr. Mark Staitman, associate rabbi since 1975, served as Rabbi of the Congregation from 1997-2003. Dr. Staitman is known for his involvement with Soviet Jewry and served as Chairman of the National Conference on Soviet Jewry. In 1989-1990 a major capital campaign restored the sanctuary. In 2000-2003, other areas of the building were updated for contemporary usage and handicap accessibility and a new porte-cochere entrance from the parking lot was added. As we forge ahead in the 21st century, Rodef Shalom, the Congregation and the Temple, continue to provide new opportunities for growth and continues to honor its 150-year history of service to the Jewish community in Western Pennsylvania. 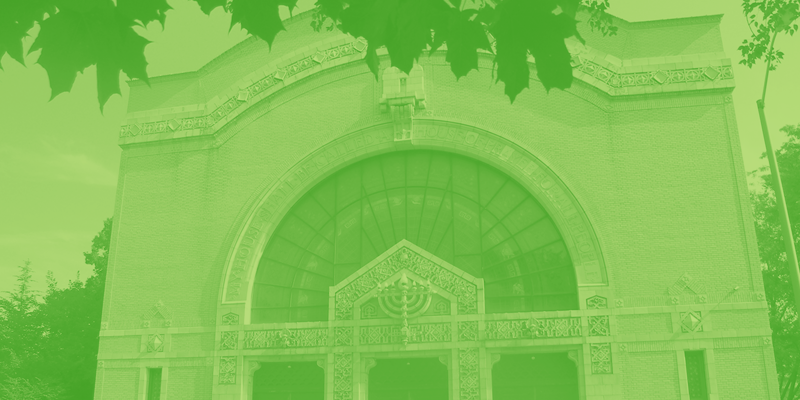 To learn more about the history of Rodef Shalom.